A pontoon boat is a valuable piece of property that represents an enjoyable part of your life. If your pontoon boat becomes damaged you will want Fast, Quality Service to get it back on the water as soon as possible. Don’t make the mistake of taking your prized pontoon boat to just anybody. Only an Insurance Approved Vendor like Anchor Marine Repair is capable of providing top of the line restoration the first time. 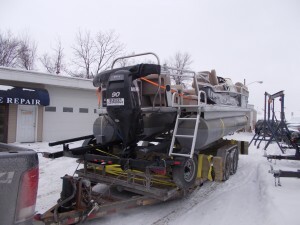 Pontoon Storm Damage Repair is not the same as automobile repair. Trust only Experienced, Qualified boat repair technicians to do the job right. Anybody who has owned or spent time on a Pontoon Boat understands their unique appeal. Many models are a combination of a performance marine craft and outdoor living room on the water. The damages sustained during a storm can range from dents and scratches to needing complete body repair along with upholstery and flooring replacement. Due to the unique nature of Pontoon Storm Damage Repair it would be crazy to trust the job to anyone but the Experts at Anchor Marine Repair. 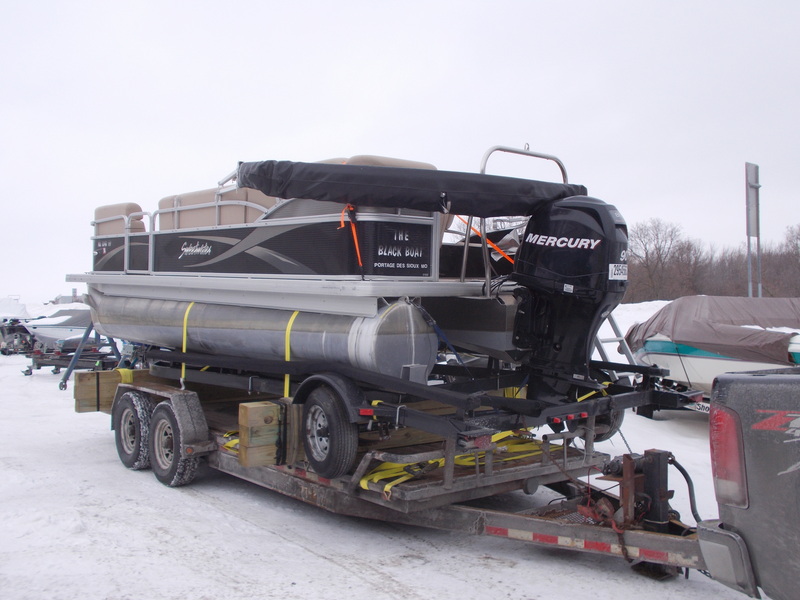 Our state of the art shop is Insurance Approved for all types of pontoon boat repair. When you contact Anchor Marine Repair for boat repairs, restoration or painting you are entering the world of expert technicians who are passionate about boats. We thrive on facing the challenge of a storm damaged pontoon boat or aluminum or fiberglass boat and restoring it to as good as or better than before. Its easy to see the commitment to getting the job done right the first time. This is how we have gotten the reputation for Fast Quality Service that’s surprisingly affordable. Anchor Marine Repair are experts in the boat repair industry. Through our dedication to quality materials and honest service, we have become a highly respected Insurance Approved Vendor. Clients come from all over for fast, quality services that will get your boat back on the water as soon as possible. Contact Anchor Marine Repair if you are in need of Pontoon Storm Damage Repair that is done right the first time. Our staff can assist with the Insurance Claims Process to stress out of restoring your boat to pre-storm condition.